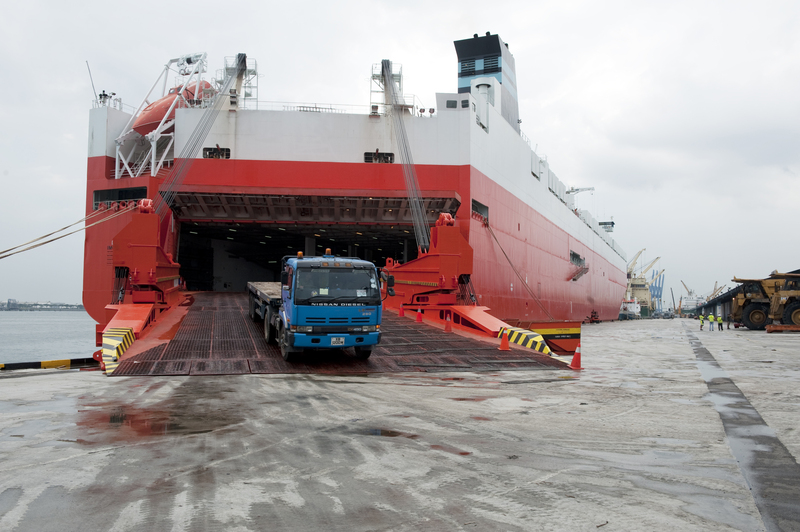 RO-RO ships are vessels designed to carry wheeled cargo, such as cars, trucks, semi-trailer trucks, trailers, and railroad cars that are driven on and off the ship on their own wheels or using a platform vehicle, such as a self-propelled modular transporter. RO-RO vessels have either built-in or shore-based ramps that allow the cargo to be efficiently rolled on and off the vessel when in port. Crown Navigation Co. (Pvt.) Ltd. has an agreement with SEALS Co. Ltd. –Japan linking Bangladesh (Chattagram & Mongla) with Japan, Korea, Thailand, Singapore, Malaysia, Myanmar & other countries.